Assessment and feedback is something we do every day in our classrooms. It’s a two way process, students and teachers working together. The feedback needs to be helpful to the students in that they can do something with it to improve their learning. Dylan Wiliam – Is the Feedback You’re Giving Students Helping or Hindering? Without that relationship, all the research in the world won’t matter. Continuing with the theme of knowing our students well, it is so useful to ask them what works. Slides 24-31 show quotes from students about what helps them learn. Included in this section – Corbettmaths 5-a-day. Tarsia for making your own matching activities – or you can find many Tarsia resources on TES Resources for example. Teachit Maths though a subscription site offers its entire collection of activities as pdfs free. I have found many high quality resources here for all ages. Look at this activity on quadratic functionsfor example – this should really help understanding. The next section (slides 39-45) is on questioning. Used wisely, well planned for questions can help us work out just what our students know. Homework ideas are given on slides 50 to 53. Consider a question by question analysis on tests; this can be very revealing as to which topics a class has found harder. Look at examiners’ reports to give advice to students about what examiners are looking for. For simple day to day marking, ask your students to assess themselves using RAG123. I have read some great posts on feedback, see Alex Quigley’s Improving Written Feedback and Verbal Feedback Given….. on Shaun Allison’s ‘Class Teaching’. Such a good idea, I couldn’t resist – so I bought myself the stamper and decided to try this with Year 7 – early days yet, but I love the idea so far..
A student in my Year 7 class was determined to find the number of winning lines in a game of 3D noughts and crosses which she did successfully. She drew some clear sketches of the different groups of winning lines and after a discussion with me was the recipient of my first stamp! I was very enthusiastic about her written work on this as you can see from her response! I had explained to the class that if I discuss their work with them, then give them a stamp – they have to write down that feedback as Shaun suggests in his post. It is important for students to make a note of verbal feedback and I have asked students to do this more often recently, so for example if I am giving any verbal feedback to the class after a test or homework I expect them to make a note of any verbal feedback they believe applies to them. Note that the independent homework gives you the chance to respond to feedback; for example you might want to try to solve some equations and present your solutions very logically and show that you are checking your work. It may be a response to my feedback or your ‘self-feedback’. When you reflect on something we study in class, sometimes you might think ‘I’d like to practise some more examples’. Your independent homework provides that chance. Remember you could choose any topic, your homework offers you the chance to revise work. Staying with the use of homework, it may be appropriate to give a follow up homework allowing students the opportunity to act on feedback received from the first attempt. See also: Dollops of Feedback which includes some useful resources on feedback. The most powerful single modification that enhances achievement is feedback. The simplest prescription for improving education must be “dollops of feedback”. Hattie, J.A. (1992). Measuring the effects of schooling. Australian Journal of Education (see page 9). In class this week …. …had an Independent homework this week and I was really pleased with the variety of choices made. Some chose to use online resources / their text to practise a topic tested recently, others worked further on some investigations we have looked at in class, some chose to do a Junior Maths Challenge. A couple of students used the Diagnostic Questions site to practice their chosen topic. One of the investigations we have looked at recently was on the number of winning lines in a noughts and crosses game – the 2 dimensional game was fairly quickly sorted out – so moving to 3 dimensions is the natural extension. Some were fascinated by this and determined to find the number of winning lines in a game of 3D noughts and crosses – two students so keen that they made a model of their own to help them answer the question successfully! They made some counters as well! I have read some great posts on feedback recently, see Alex Quigley’s Improving Written Feedback and Verbal Feedback Given….. on Shaun Allison’s ‘Class Teaching’. Such a good idea, I couldn’t resist – so I bought myself the stamper and decided to try this with Year 7 – early days yet, but I love the idea so far..
Another student in the same Year 7 class mentioned above was determined to find the number of winning lines in a game of 3D noughts and crosses which she did successfully. She drew some clear sketches of the different groups of winning lines and after a discussion with me was the recipient of my first stamp! I was very enthusiastic about her written work on this as you can see from her response! I had explained to the class that if I discuss their work with them, then give them a stamp – they have to write down that feedback as Shaun suggests in his post. and created a superior version! This shows many of the awesome Desmos features. I really must explore these further – note that where a folder is used selecting the arrow shows or hides the contents. This is a brilliant feature for creating pages to share with students. I mentioned feedback from the students – a simple feedback idea – I asked this class as the first part of a homework to email me with any outstanding queries from the mini test, having looked at the worked solutions on our homework blog. I have been impressed by their understanding and articulation of what they initially found tricky. In Year 12 we have been studying integration. Teaching the trapezium rule I remembered some applets I used last year which demonstrate this well. The Year 12 Further Maths class are currently studying Decision Mathematics and a student asked what WolframAlpha can do?! Looking at the examples we can see that describing connections between nodes will generate images of a graph. I must explore further! Studying the Normal Distribution I showed students Mike Hadden’s excellent normal trainer which generates an endless supply of examples. I really like the step by step approach and the very clear page on the backwards problems. With the Year 13 Further Mathematicians I was reminded of the huge variety of Tarsia puzzles around and that these are not just for younger classes. In Year 13 we use a Tarsia on De Moivre’s theorem. Smarty Pants and other badges! 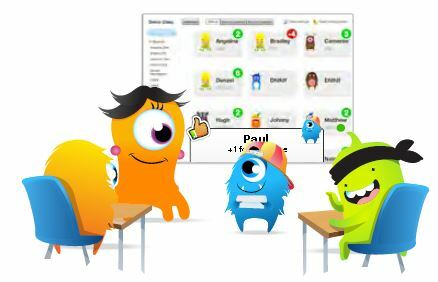 Near the beginning of this academic year I wrote that Year 7 (UK age 11-12) and I decided we would use Class Dojo this year to record learning behaviours. We have since adopted the term badges to describe our system which I rather like; it reminds me of the excellent work by the Mozilla Foundation on their Open Badges and I wonder if at some point in the future I can somehow link our system to an open badge. See also – the later post on ClassCharts which can also be used to record learning behaviours and additionally offers the facility for students to view their own complete online record. Some of my ideas for a badges are: Well prepared, Contributes in class, Good Marking. I have an idea that maybe there could be a good effort/trying your hardest badge, so this doesn’t necessarily mean that someone has got 10/10 but when you know they are struggling in a particular topic and then they might get a just above average mark in it , you will still know they tried there hardest because they were struggling with it before. There could be a badge for a great badge idea! Also neatness. A tidy page is easier to read and mark. I think we should have an organisation badge because it’s important to have everything you need for a lesson. You could also include a gritty child badge. I think we should add a presentation badge, a best effort badge and a badge called Smarty Pants so if we get full marks for quite and few times in a row we can get a smarty pants badge! I think there should be a ‘happy to do my homework’ badge. Where we ask ourselves, are we ok to do our homework because I only really get my homework correct if I am motivated enough to do it! Also none of us want to feel like we ‘hate’ homework! …and the suggestions are still coming. We have discussed how these badges will be awarded, for example when I asked how will I know that you are happy to do homework, we decided that their homework would show care, would always be done on time and if they had any problems they would ask before it is due in. What has been so pleasing about all these discussions is all the talk about what it means to be a good learner. I do like to get a class working immediately, I have written on Bell Work before; Year 7 are aware of this and just recently a student suggested a JDI! badge for those students who come into class and without fuss get straight on with their work. The student who suggested that was obviously listening to me at the beginning of the year when I mentioned that there were times when you just have to get on with things – just do it! In our discussions on homework we have decided that sometimes it would be a good idea to have an independent homework where each student decides for herself what she will spend time on. This offers the chance to practise more examples of any topic a student feels she needs or perhaps try some extension work; there are many possibilities. I have reproduced below the instructions I have written for students (on our homework blog) on how this will work. I will report back in a later post on how this is working. We decided it would be a good idea to have an independent homework sometimes, giving you the freedom to work on something of your own choice. This will enable you to demonstrate your independent learning skills. There are several suggestions here but you may choose any activity that will support your learning in Mathematics. Your activity should usually include trying some problems. When we have an independent homework you should include in your work an introduction to say what you have chosen and why you chose it. You should also evaluate your chosen activity when you complete it. Was it useful? Have you achieved what you hoped? If you have used any particular resources would you recommend them to others? Note that the independent homework gives you the chance to respond to feedback; for example you might want to try to solve some equations and present your solutions very logically and show that you are checking your work. It may be a response to your ‘self-feedback’. When you reflect on something we study in class, sometimes you might think ‘I’d like to practise some more examples’. Your independent homework provides the chance. Remember you could choose any topic, your homework offers you the chance to revise work. Your textbook: the Test Yourself exercises at the end of each chapter have the answers at the back so you can check your solutions as you work. You could also work through examples in the Yellow boxes or try some of the puzzles. If you do use worked examples – never just read them, work them out yourself. Online activities: if you choose any online activities you should show some working in your book. MyMaths – remember to use your second level password if you try any of the homeworks. MangaHigh – the quizzes – not just games! CIMT Tutorials Year 7 or Year 8. David Smith’s site, The Maths Teacher has an extensive collection of videos to help you study Mathematics. Many of the foundation GCSE topics are also ideal for KS3 (age 11-14). For each topic not only is a video available but also a transcript and exercises with solutions. This makes the site ideal for revision – you have the choice of perhaps just trying the exercises or if you feel you need more help you can watch the video – whatever is right for you. Any website of your own choice, many students like BBC Bitesize for example. There are other suggestions on this page. A chance to study any new area of Mathematics that we have not studied in class yet that interests you, you could use any of the above resources or perhaps you could try a problem from the Nrich website. Note that you can search Nrich. Suppose you want to work on Algebra for example, you will find lots of activities here. Try some Maths challenge questions – see this page. Note the challenges from the University of Mississippi, the Middle School Madness and Elementary Brain Teaser problems are for school age children, Middle School Madness for grade 8 (age 14 and under), the Elementary Brain Teaser for grade 6 (age12 and under). If you submit a correct solution by the deadline that week your name will be published on the website. Work on your mathematical vocabulary, you will find the dictionaries here helpful. You may want to look at some other reference material, many students find these notes from Craig Barton very helpful. Learn to use WolframAlpha to check your work. If you want to practise (and assess yourself) at a particular level then try Convinced from Kangaroo Maths. Also from Kangaroo Maths see the Levelopaedia and Level Ladders. Emily Hughes has a clear and attractively presented guide for both KS3 and KS4. All the above are suggestions if you are not sure what to try. You are of course free to make any choice of your own as long as it supports your learning of Mathematics! Remember that getting stuck helps you learn. Gritty students persevere and work things out when they get stuck, asking for help is fine too! Try and ask specific questions. Do you have any observations / suggestions for independent homework? Please add your comments below.